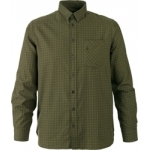 Style: 140210227 Size: M-3XL Colour: Duffel green Main fabric: 100% Cotton, Washed Poplin Features: • Extra large chest pockets • Convertible cuff ..
Material: 100% Cotton, Twill, One side brushed Features Left side chest pocket Convertible cuff Ivy Green Check or Tofu Check ..
Main Fabric: 100% Cotton, Flannel, Brushed Lining: 100% Polyester, Polar fleece Padding: 100% Polyester, 60g Features: Fully lined with fleece Left side chest pocket Snap button closure Pine green ..
Main fabric: 100% Cotton, Flannel, Brushed Trim: 100% Cotton, Corduroy Chest pocket Regular 2 button cuff Elbow pouch Faun Brown, Phantom Green, Spicy Red ..
Main Fabric: 100% Cotton, Flannel, Brushed Trim: 100% Cotton Shaped fit Raisin Check ..
Material: 100% Cotton, Plain Weave Features Female shape Woodcock embroidery Convertible cuff ..
Main Fabric: Double Weave shirt Features: 2 x Chest pockets Pine check or Sequoia rust check ..
Material: 100% Cotton, Flannel, Brushed Features: Button under collar Placket with press studs Left side chest pocket with horisontal zip Right side chest pocket with vertical zip Cuffs with 2-position press stud closure Cl..
Material: 100% Cotton, Plain Weave, Enzyme wash Features Left side chest pocket Convertible cuff Button under collar Pine Green or Soil Brown ..
Main fabric: 100% Cotton, Flannel, Brushed Features: Left side chest pocket Convertible cuff Carbon Blue Check Forest Green Check Russet Brown check ..
Material: 100% Cotton, Poplin Check Features: Left side chest pocket Convertible cuff Russet Brown Check ..
Material: 52% Cotton/30% Coolmax/15%Polyester/3% Spandex, Twill w.stretch Features Zip chest pocket Mesh ventilated back Action back Reinforced shoulder Snap button closure Conv.. 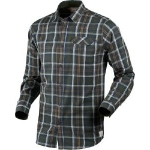 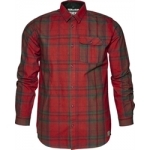 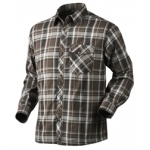 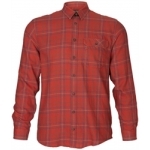 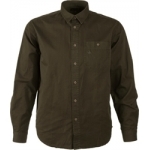 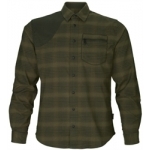 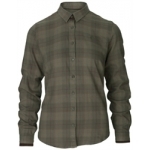 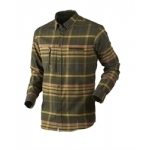 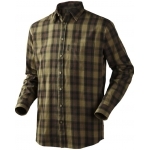 Warm and good looking shirt in lumberjack style. 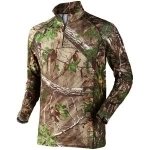 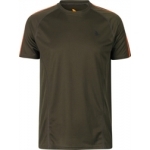 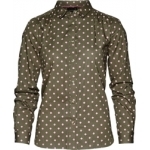 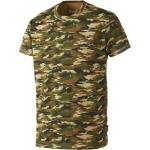 This shirt is cotton and lined with fleece for warmth on cold days. 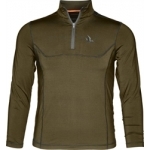 Useful as both outer layer and middle layer. 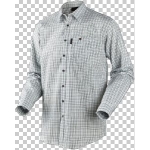 Seeland Vick Shirt:- Press stud front closure Chest poc..
Material: 100% Cotton, Poplin Check Features: Button under collar Left side chest pocket Convertible cuff Forest Night Check or Bitter Chocoalate Check ..
Material: 100% Cotton, Flannel, Brushed Features Chest pocket Regular 2 button cuff Cordoroy elbow patch Meteorite check, Wren check, Ketchup check .. 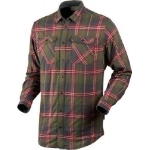 Style: 140209312 Barn check 140209313 Bleached check 140209334 Pine green check Size: M – 3XL Main fabric: 100% Cotton, Plain Weave Features: Zipped chest pocket Reinforced bottom back panel Convertible cuff ..
Material: 100% Cotton, Flannel, Brushed Features: Left side chest pocket Convertible cuff Roisin green check or Biking red check ..
Material: 100% Cotton, Flannel, Brushed Features Regular 2 button cuff Pine Green check or Java check .. 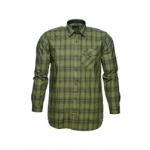 Style and Colour: 140209625 Mossy Green Check 140209626 Musk Red Check Size: M – 3XL Main fabric: 100% Cotton, Flannel, Brushed Lining: 100% Polyester, Polar fleece Padding: 100% Polyester, 60g Features: Fully lined f.. 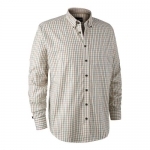 The Seeland Preston Shirt is a timeless 100% cotton, twill mens shirt that looks good and feels great. 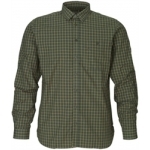 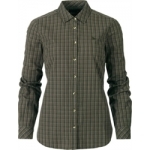 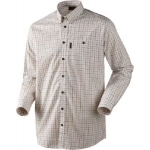 Fitted with a regular 2 button cuff and a chest pocket with button closure, this men's checked shirt is available in choice of checks and in a f..
Material: 100% Cotton, Tile Print Features: Contemporary female fit Action pleat for extra movement Chocolate Tile or Green tile .. 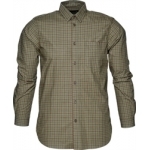 Style and Colour: 140208875 Inca Gold check 140208885 Fall Valley check 140208821 Pine check Main fabric: 100% Cotton, Twill Features: Button under collar Left side pocket Convertible cuff ..
Material: 100% Cotton, Twill Features Left side chest pocket Convertible cuff Sleeve strap Dark Olive ..